Have you requested a Locked/Unlocked Status Check from doctorSIM and looking for information on how to understand the report you've received? 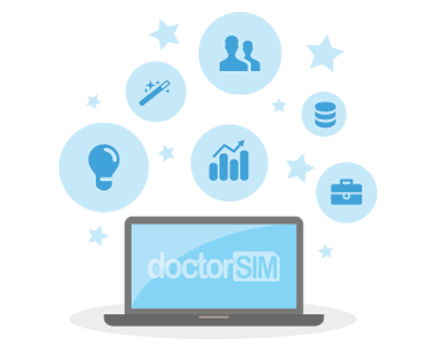 With this information, you will know if your phone needs to be unlocked using one of doctorSIM's unlocking services or is already unlocked for use on any compatible GSM network in the world. 1. - The different sections of the report. Serial Number: an identification number showing the iPhone's position in a series during the manufacturing process. This number can be used to identify the device within the Apple database and from this, they can check the specification, generation, capacity, date, and location of manufacture, warranty information, repair history, and much more. Model: Specific name or number of the cell phone. Part Description: information on the device such as model, color, and storage capacity. IMEI: The International Mobile Equipment Identity (IMEI) is a unique 15-17 digit number given to every GSM cell phone. Serial Number: An identification number showing the phone's position in a series during the manufacturing process. Applied Activation Policy ID: numeric ID associated with the initial locking policy. Applied Activation Policy Description: the name of the network carrier to which the iPhone was locked originally. Service Policy Bluetooth MAC Address: locking policy identifier assigned to Bluetooth. Next Tether Activation Policy Description: name of the network carrier to which the iPhone is currently locked. Can also include information stating that the iPhone is already unlocked. First Unbrick Date: date the iPhone was first activated. MAC Address: the Media Access Control (MAC) address is a unique identifier assigned to network interfaces for communications at the data link layer of a network segment. Last Unbrick Date: the last date the device was activated with a network carrier according to the Apple server. Unbricked: indicates if the iPhone has a system failure preventing it from turning on. This could be due to an error with the operating system (iOS), the device's storage or for some other reason. "False" means the iPhone has no such error whereas "True" will require assistance from Apple technical support due to a system failure. Unlocked: current unlock status. True means the iPhone is unlocked and False that it is locked. Find my iPhone: Current status of the additional security measure "Find My iPhone". Unlock Date: date the iPhone was unlocked. Simlock: Information on whether the phone is locked or unlocked. 2. - Which section tells me if my phone is locked or already unlocked? The section which tells you if your phone is locked or already unlocked is "Simlock". If your phone is locked and you want to unlock it you may do so using doctorSIM's network unlocking services.